SANCOT was formed in 1973 and is a founding member of the International Tunnelling Association which was itself formed in 1974. The creation of SANCOT came about as a result of the extensive infrastructure development taking place in South Africa in the late 1960's and foreseen in the decades ahead. 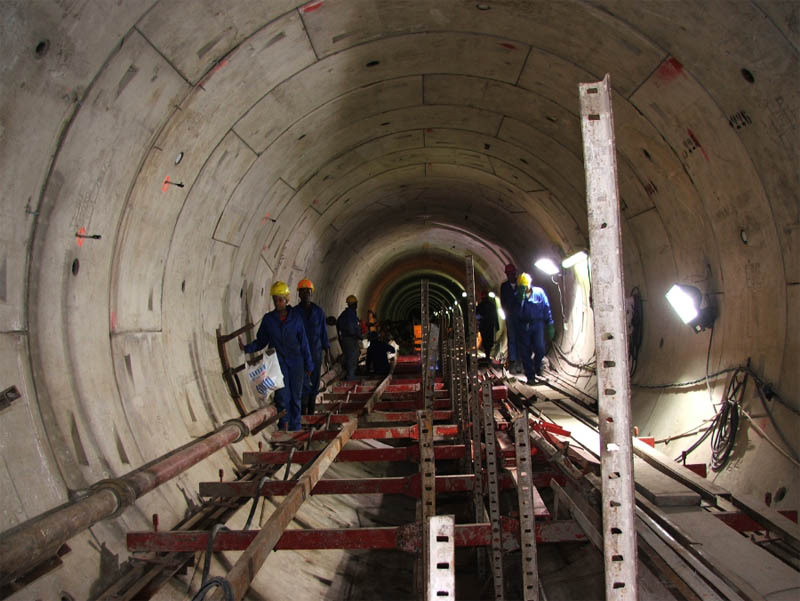 Schemes such as the Orange River Project, Ruacana Hydropower Scheme and Hex River railway tunnel attracted a number of overseas consultants and stimulated local engineering expertise. The TUNCON 1970 conference which followed was well supported and the organising committee saw the need to set up an umbrella organisation to cover the interests of tunnel owners, designers, researchers, professional specialists, contractors and equipment suppliers. This culminated in the establishment of SANCOT in 1973 with Alec Wilson as the first Chairperson, who then represented SANCOT at the inaugural meeting of the newly formed International Tunnelling Association in Oslo in 1974. Since then SANCOT has been represented at every ITA General Assembly, except one in Prague. In 2003 there was a significant decrease in Civil Engineering tunnelling in South Africa and SANCOT was reformed as a committee of the SAIMM. The committee is now an interest group consisting of volunteers who meet regularly to collate information on both Civil and Mining tunnelling in South African and to hold conferences, site visits and colloquia. 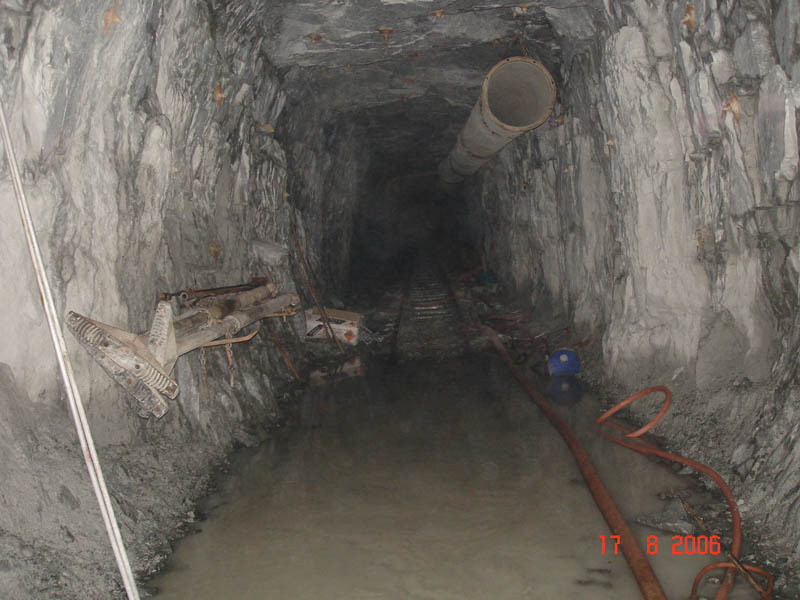 If you wish to contribute news on tunnelling please contact the committee on Camielah@saimm.co.za. The South African National Council on Tunnelling (SANCOT) makes an annual award, namely the Alec Wilson Memorial Award for the best paper on Underground Construction, to the author(s) of the best paper concerned with the technology of underground construction published in any South African journal or to any paper by a South African journal or to any paper by a South African author in overseas journals, or in any conference proceedings. The Award was initially instituted by SANCOT in 1984 in order to encourage South African citizens and residents to submit technical papers on tunnelling matters both for local conferences and publications and overseas events. The criteria for judging by the panel are originality, interest value, quality of presentation, clarity, information content and the contribution of the paper towards the advancement of the technology of underground construction. Should no paper published be considered of sufficient merit, no award is made. The award may be divided between the authors of papers judged of equal merit. If more than one paper is considered to be of exceptional merit, the runner-up may be carried forward for consideration together with nominations for the following year. The Judging Panel elected by SANCOT Exco, consists of three persons, each of whom represents one of the three main 'constituencies' within SANCOT, namely Tunnel Designers, Tunnel Contractors and Suppliers and Tunnel Owners. This enables a balanced paper review to be undertaken. 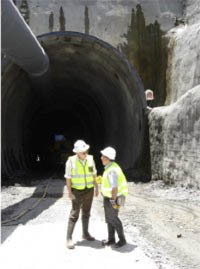 The late Alec Wilson was one of South Africa's foremost Tunnel Engineers. He was born in Cape Town in 1926 and grew up in the Eastern Cape Province of South Africa. He obtained his Civil Engineering degree at the University of Witwatersrand, Johannesburg and joined the South African Department of Water Affairs. In 1964 he became a partner in the Consulting Engineers Keeve Steyn and Partners, remaining with them throughout his career. 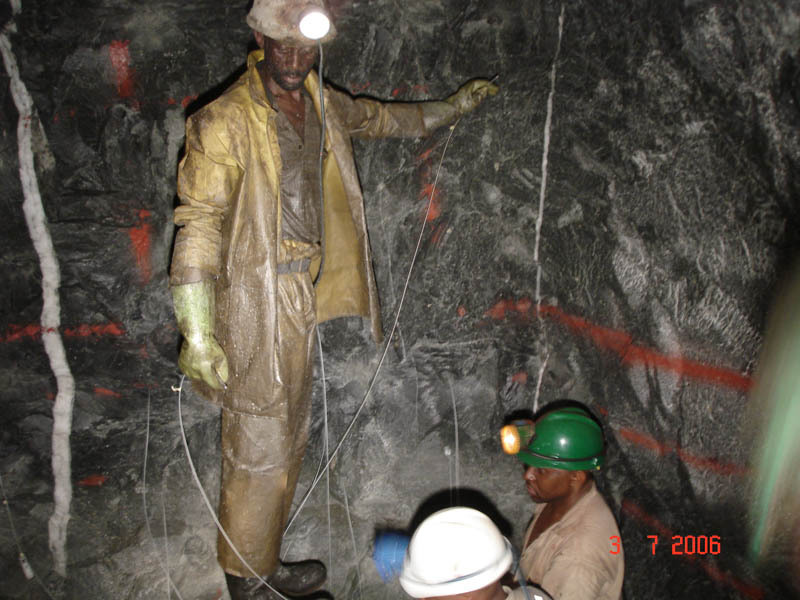 He was heavily involved in the Orange-Fish River Scheme and continued his career in tunnelling and rock mechanics. 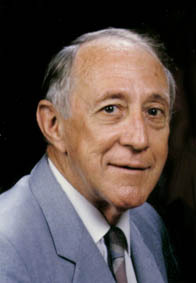 He was chairperson of Tuncon '70, one of the first major international conferences to be held in South Africa in 1970. 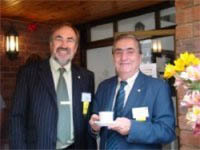 Following that conference he was instrumental in the formation of SANCOT in 1973, being it's Chairperson until 1976 and subsequently assisted in the formation of the International Tunnelling Association in 1974. He was involved in many tunnelling conferences and became well known as a mediator and arbitrator. He advised on a number of aspects of the Lesotho Highlands Water Project. After his death in 1992, it was unanimously decided by SANCOT Exco in June 1993 that, as a lasting tribute to a fine engineer, the Annual SANCOT Award should be presented henceforth in his memory. 1985 - H. Duddeck (Germany) - "General Approaches to Design of Tunnels"
1986 - N.J. Terblanche - "Underground Power Stations: Critical Design Influences"
1987 - O. Fenn - "The use of water jets to assist free-rolling cutters in the excavation of hard rock"
1988 - P. Loudon (RSA)- the award was for a suite of papers relating to the Huguenot Tunnel published in an issue of "The Civil Engineer in South Africa"
1989 - C. Forbes (RSA) - "Heatlieskrans - a recent Tunnelling experience in Cretaceous Sediments"
1990 - O.T. Blindheim and A. Boniface (RSA) - "Boreability Assessments for Major Tunnelling Projects"
1991 - C.R. Spiers (RSA) - "Support for Tunnels subjected to Changing Rock Loads- Comparison of Design Loads"
1992 - I.J.A. Brackley, R.M. Galliers, A.M. Dell and S. Nthako. (RSA and Lesotho) - "Geotechnical Investigation for a Water Transfer Tunnel in Lesotho"
1993 - M.J. de Witt (RSA) - "Limits of Watertight Linings for the Delivery Tunnel, Lesotho Highlands Water Project"
1994 - B.S. Bruce, J.G. McKelvey and S.A. Taylor (RSA) - "Excavation of the Clermont Tunnel. (KwaZulu/Natal)"
1995 - L. Pringle (RSA) - "Construction of a Drill and Blast Tunnel under the Caledon River (LHWP)"
1996 - A.R. Leach and D. Ras (RSA) - "Use of Three Dimensional Numerical Models in Shotcrete Design for Development of Target Exploration Company, Lorraine Gold Mine"
1997 - T.R. Stacey and W.D. 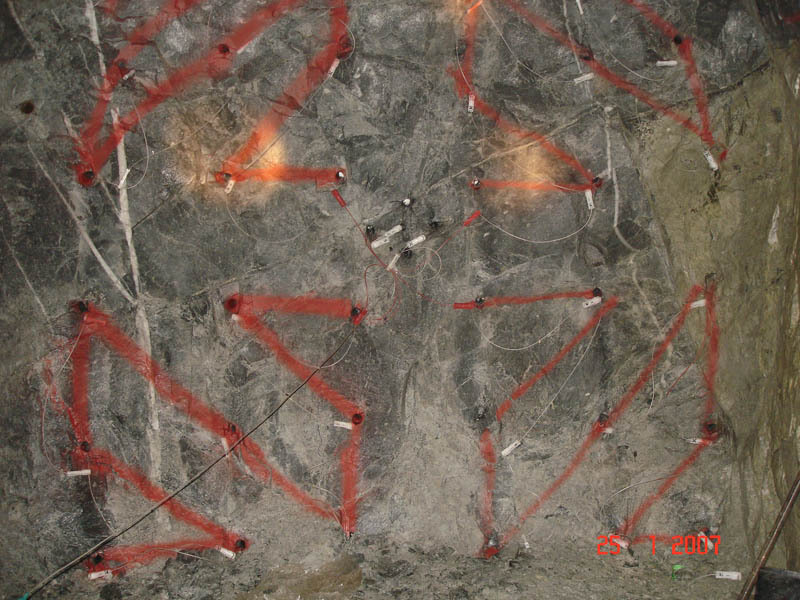 Ortlepp (RSA) - "Performance of Rockbolt and Wiremesh Tunnel Support under Dynamic Loading"
1999 - B.C. 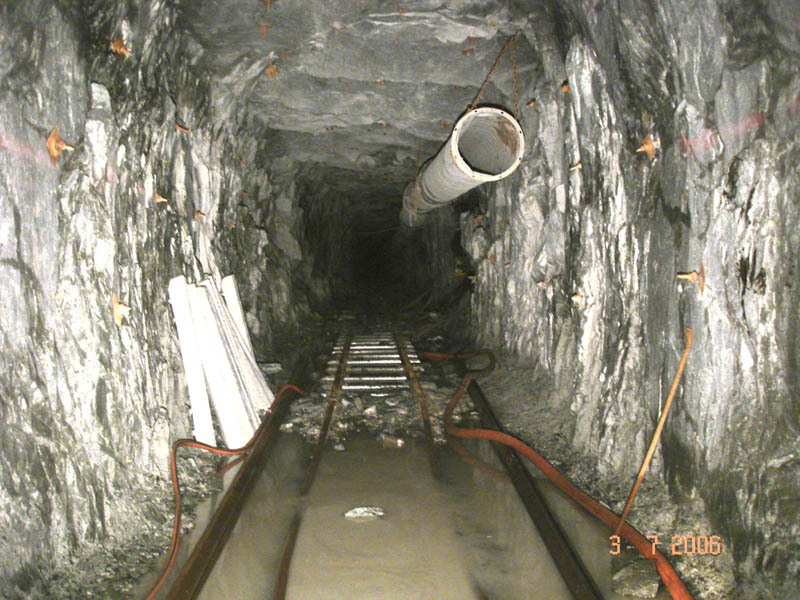 Viljoen and J.R. Metcalf (RSA) - "Commissioning of the Delivery Tunnel : Overview of work done and results obtained (LHWP)"
2000 - T. Okai (Japan) - "Tunnel construction procedures to overcome the high pressures of rock mass swelling"
2001 - D. H. Deiring (RSA) - "Tunnels under pressure in an ultra-deep Witwatersrand gold mine"
2004 – Mr J P L Morgan, Prof J L van Niekerk and Mr D Cosijn for their paper entitled: “Gautrain Tunnels: Surface vibration and ground-borne noise”, published in the SAIMM publication: Tunnelling and Development in Southern Africa in 2003. 2005 - Mr W D Ortlepp, Mr A H Swart and Mr P N Erasmus for their paper entitled: “The performance of yielding tunnel support systems under dynamic loading”, published in the Surface Support in Mining Conference Publication in Perth in 2004. 2007 - Andrew Hindmarch, Andy Griffiths, Andrew Officer and Gert Wittneben for their paper entitled: “Durban Harbour Tunnel – first use of a slurry tunnel boring machine” as published in the proceedings of the 2007 Rapid Excavation and Tunneling Conference, held in Toronto, Canada.